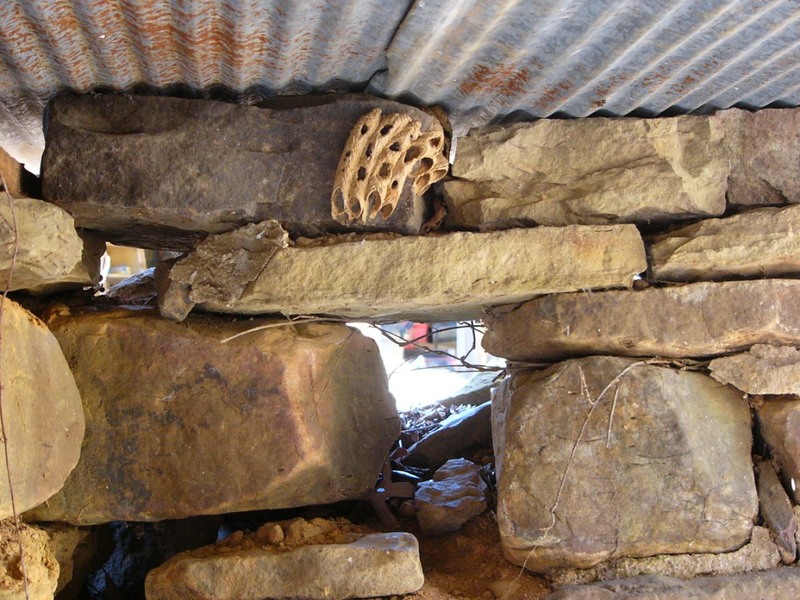 Sarah noticed the yellowed remains of the hive clung to the rock still. In spite of the scourge of winter’s icy wind, it stood, a steadfast reminder of summer’s heyday. No buzz, no thrumming wings announcing life inside, no baby moving in her womb any longer. She closed her eyes. Silence joined her in mourning what had been lost. Objective: 100 words in response to the picture prompt. I value your feedback! Read more about the Flash FridayFictioneers and join the fun here! This is fabulous. The shift in focus was unexpected and moving. Simply said, you did good! Nice to see you joining in! This was good, straightforward, concise and very sad. Good work. You paint a powerful parallel. I can only agree with Sandra’s comment above — so utterly straightforward as to be incredibly evocative. Nice work. Wow…sad but well written. She will see the emptiness everywhere…for years to come. Wow. Very poignant. The similarity of the empty nest (the fluttering) and the woman’s lost is so profound. Amazing job! So sad!!! 😥 You’ll have my emotions all in a fit so nicely done. “no thrumming wings announcing life inside” a simple statement but adds so much depth to the story. great work. The first that focused on the wasp nest – oh but you shifted it into something so much stronger, a tale of loss too deep to describe. Excellent writing. Your story was poignant and moving, fitting for the day and a sad remembrance of summer past and life’s possibilities lost. Very nicely done. Such a moving story, simultaneously full of simplicity and complexity. I hope she finds happiness again some day. Very moving, and you’ve captured that emotion perfectly. Short, sweet, and engaging. Thank you. You create a really beautiful extended metaphor, filled with sorrow and grief. You should be really proud of this one. Very sad when you realise what she’s actually mourning. Really effective, felt brief but hit the spot. Good writing, here. Sad but sooooo beautifully written. Great job! Appreciated your visit and comments on my site–thanks. That was heart wrenching! I think that writing this piece with so few words made it more poignant. Well done. Very poignant, and so much was spoken in so few words. Thanks for joining us 🙂 Hope to see you again this week! I will try – it was fun and it is good discipline!